The first NBA Playgrounds game proved to be a hit, selling over half a million copies by July 2017. It found an enthusiastic fanbase and resurrected the arcade basketball genre, which had been dormant since the release of the fantastic NBA Jam: On Fire Edition back in 2011. There was still room for improvement, though. A peer-to-peer approach to online play resulted in a less than ideal experience, and aspects of the gameplay felt outdated. The offline modes lacked depth, and unlocking players took a lot of grinding. Promised features were either absent (the dunk contest), or turned out to be somewhat disappointing (an online-only three-point shootout). These shortcomings made NBA Playgrounds less than what it could, and arguably should, have been. 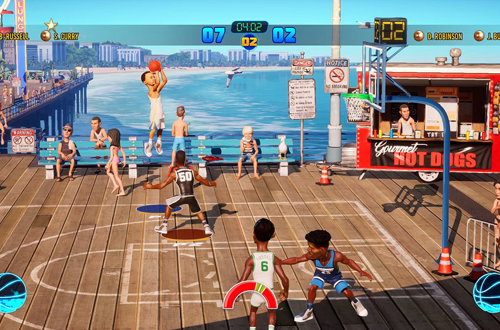 Many of those criticisms were raised following the announcement of NBA Playgrounds 2, along with the suggestion that it was too soon for a sequel. Those issues had been raised last year as well, but they tended to be drowned out, especially in the official Facebook group which was often very hostile towards critical opinions and feedback. It’s why I felt compelled to write an article pointing out that constructive criticism of NBA Playgrounds was perfectly acceptable, and something that the developers were actually inviting in order to make the game better. It seems as though gamers are becoming less likely to staunchly defend the game to the point of shouting down valid criticism, however. While that’s a more positive step for the community, it’s unfortunate that it’s come about due to Saber’s mishandling of the situation with NBA Playgrounds 2. They’ve shot themselves in the foot with the delay; whether they realise it or not, the Playgrounds brand is quietly self-destructing. Gamers disappointed by the first game were already sceptical that a sequel would be able to live up to the promises it made, and many were unwilling to give it a chance. Now the people who were anticipating NBA Playgrounds 2 have their doubts, too. 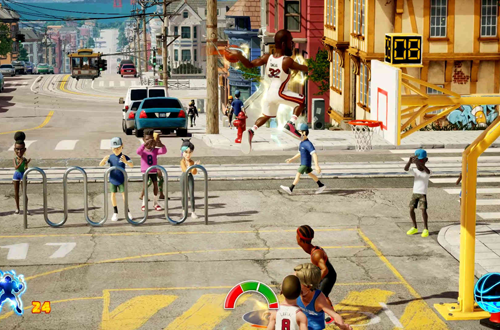 Obviously, the delay has affected the hype for NBA Playgrounds 2. We all remember what happened when NBA Elite 11 was postponed indefinitely; ultimately, the launch was cancelled, and while finished retail copies did make it out into the wild, it was never officially released. That was EA Sports and NBA Live, a much bigger studio and a longer running series of basketball games. If it can happen to EA Sports and NBA Live, it can happen to Saber Interactive and NBA Playgrounds 2. Delays don’t inspire confidence, especially when they occur days before the scheduled release. Issuing refunds because there’s no new release date is not a promising sign, either. However, it’s the silence since announcing the game’s delay that is really causing the most damage right now. Look, delays happen. In an era where we bemoan the need for day one patches and constant fixes, pushing back a release to get everything right isn’t an unwelcome turn of events. If it means a cool new feature, that’s fine too, as long as it lives up to the hype. Issuing refunds is also a show of goodwill, and smart given the roster unlock DLC caused some controversy. However, the complete lack of information or teasers undeniably causes damage to the game’s reputation before it’s even out. It gives the impression that it’s in jeopardy, and at risk of cancellation. For the record, that is far from being confirmed. I have no inside information on the situation, and as of now, I expect NBA Playgrounds 2 will come out at some point. The continued silence makes cancellation seem plausible though, or at the very least, leaves gamers feeling less hyped. For those who do remain optimistic, the lack of any further details or hints beyond vague promises of something big also risks setting the bar unrealistically high. It could easily get to the point where whatever is announced won’t feel like it was worth waiting for and hyping up. Gamers are either going to be past caring, or let down because their imaginations have been left to run wild. Considering the delay and the lack of information since May, it’s fair to wonder what kind of announcement could possibly be big enough. Michael Jordan? Kobe Bryant? Tim Kitzrow? A new mode? A name change? Saber could be cooking up something really cool for NBA Playgrounds 2, but it’ll either have a hard time living up to the hype, or come too late for gamers to care. After all, NBA Live 19 and NBA 2K19 are less than two months away. NBA Live 19 has positive buzz coming out of EA Play, and NBA 2K19 is likely to sell a huge amount of copies as usual. 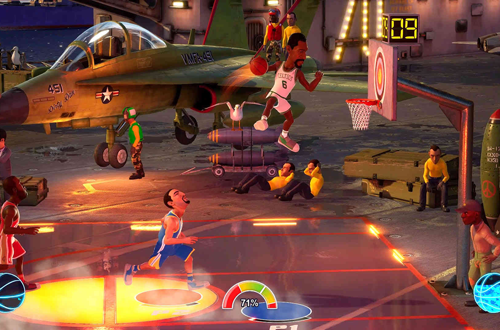 With all that in mind, NBA Playgrounds 2 may have missed its window. This time last year, NBA Playgrounds had sold half a million copies and despite the roughness, looked like it might be the start of a fun new franchise. Now, we’re waiting to find out what this mysterious big news is, and when (if?) the game will actually be released. The hype is dwindling, as is the possibility that NBA Playgrounds can ever become this generation’s NBA Jam or NBA Street. The game that was supposed to launch in May could’ve been a huge improvement, but the scepticism is justified. Maybe Saber does have something big coming, but I’m not sure it will be enough. I have my doubts that NBA Playgrounds can ever be the game it could’ve been. I don’t think I’m alone in that regard. Whereas constructive feedback was once shot down too readily, the tone of the NBA Playgrounds Facebook group has become more and more critical. I’ve seen suggestions that whatever Saber had planned has fallen through, hence their silence since May. I won’t go that far yet, but it’s certainly not implausible. There are plenty of sneering comments about news coming “next week”, mockingly echoing promises about news, patches, and releases that Saber has been unable to fulfil. Vague promises followed by complete silence only leads to negative speculation, especially when the previous title came up short in some key areas. I’m not suggesting that NBA Playgrounds 2 will be cancelled or definitely be a flop, but it’s hard to shake the feeling that we’re going to be disappointed in some way. 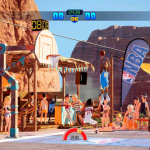 With the sales numbers for NBA Playgrounds, an enthusiastic fanbase, and the potential to improve, Saber Interactive seemed to be onto a good thing, arguably positioning themselves to be a big player in basketball gaming. Right now, they’re looking more like a lottery pick that peaked too soon and fell short of expectations. As each week passes, their opportunity slips further away. It’s a shame, but a promising arcade basketball game franchise could self-destruct before it really takes off.